The Navetta 33 is another collaboration between the Group’s Product Strategy Committee and Italian design studio, Zuccon International Project. 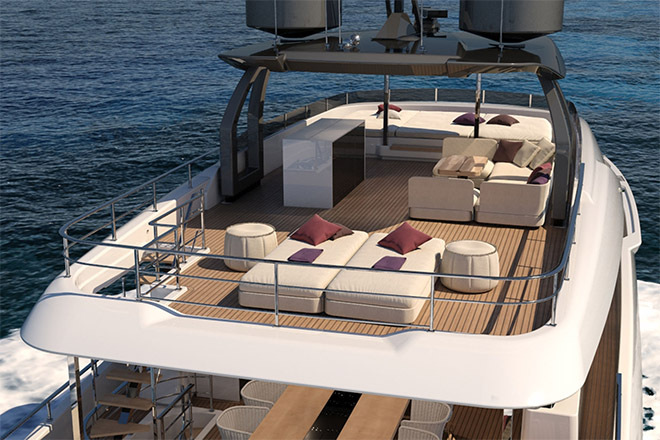 Five units of the 33 model have already been sold, and joins the Navetta 28 and 37-metre models under construction at the yard with a 42-metre edition under development. Boasting a 2000 nautical mile range at economical cruising speed and VOTIS software providing the most flexible and practical onboard infotainment systems, the Navetta 33 also features a special flexible joint in the transmission lines, which absorbs shaft vibrations, as well as other cutting-edge solutions that assist in keeping noise levels to a minimum. Accommodating up to 10 guests across its spacious four decks, the 33’s external panoramic terrace, multiple lounge areas, interior and exterior dining areas, as well as sun deck with swimming pool provides luxurious comfort and privacy with fabulous views. 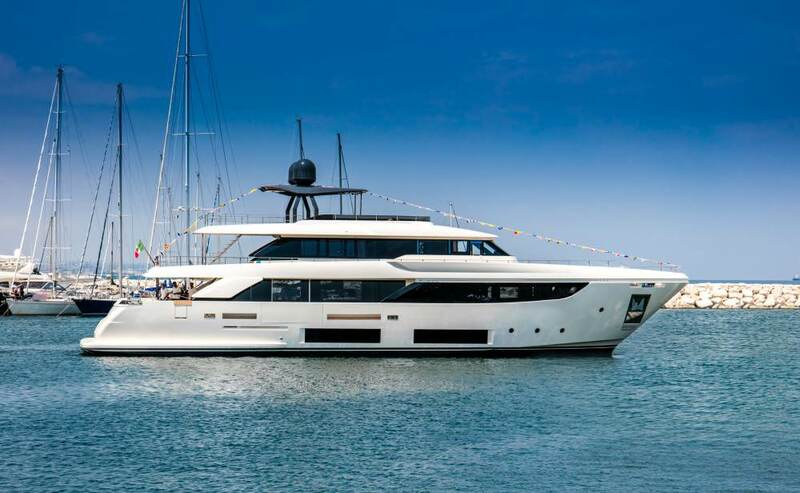 A selection of Ferretti Group clients will get the first look at the new Navetta 33 in late July on the 29th and 30th at a company event in Ibiza. 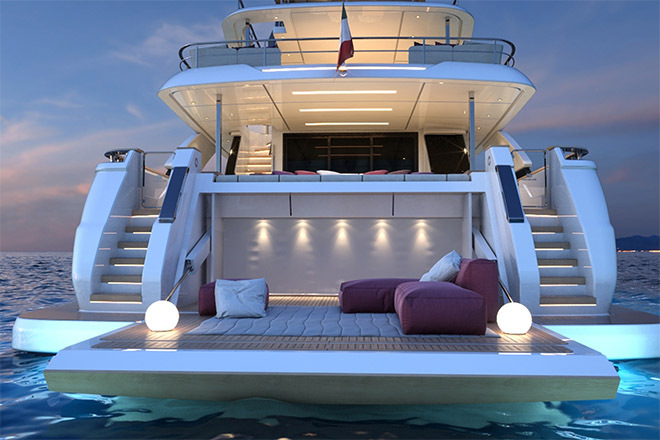 In September, the general yacht-buying public can get aboard at the Monaco Yacht Show.